In The Puppet's Tattered Clothes, Alan Bray has written a modern day fable where hope and despair are intricately entwined and ever present. True to fabulist form, many of the life-lessons in this tale stem from the inanimate players. A small and seemingly lifeless troupe of marionette puppets inspires and threatens the outcome of our protagonist’s fate. Familiar with disappointment and fearful of history repeating itself, Kevin is a young man who has learned to cope with the world’s cruelty through daydreaming of far off places where abandonment and abuse are a distant memory. It is his vivid imagination and child-like curiosity however that end up threatening his chances for a life far removed from his lonely existence in the North side of Chicago. After completing a day’s work for his benevolent employer and only friend, Kevin heads off toward another dreary night alone. On his way home he meets the daughter of a renowned family of touring Marionette puppeteers. A friendship is immediately formed and validated by a contrasting yet mutual sense of displacement in their worlds. Intrigued by the apparently magical inner workings of the puppets, Kevin accidentally causes irreparable damage to one of the wooden creatures, sabotaging his chances for a new life. 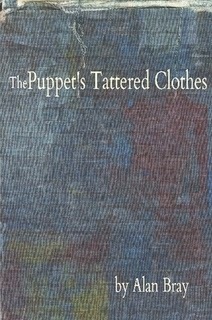 Purchase The Puppet’s Tattered Clothes HERE.